Sibling bands are the ‘in thing’ these days. Seriously, they are. Over the past few decades, many sibling bands have formed- some have split up and some have kept going. Castro, comprised of Jason, Michael and Jackie Castro. For KING & COUNTRY, fronted by brothers Joel and Luke Smallbone. Former band BarlowGirl, with Alyssa, Becca and Lauren Barlow taking the reins on the lead vocals, guitars and drums respectively. Rockers needtobreathe are fronted by Bear and Bo Rinehart, while Switchfoot is led by Jon Foreman, and his brother Tim is also in the band. Mainstream band The Band Perry is made up of siblings Kimberly, Reid and Neil Perry, while OBB features Zach, Jacob and Nich Oswald. And Cimorelli has six sisters- Christina, Katherine, Lisa, Amy, Lauren and Dani Cimorelli. And that’s just the start of the list (while is miles long, and which you can read the Wikipedia page here! )…so here we are, about to check out a new sibling band. As we are now introducing you all to Bonray, who formed a few years ago, and includes Zac, Jesse, Jake and Morgan Bonner; you may be wondering what makes Bonray so different to other sibling bands? Well the answer is…I guess you could say the passion and intensity- the fact that these guys are immensely on fire for Jesus, which not really makes them better, but rather accentuates and highlights their own distinct style. If I’m honest though, in truth all sibling bands are unique, so it’s hard to say who’s better. If you compare Switchfoot, or needtobreathe, to Cimorelli, or for KING and COUNTRY, or other sibling bands; the one constant you’d get would be that being related, and being in a band- I guess the members share a closeness and a bond that other bands don’t have, and that’s what probably makes sibling bands stay together longer than other bands. So, going back to Bonray, let me tell you that the band have been around for a while, have been making music that glorifies Jesus, and while they’re style isn’t that unique in that we’ve all heard CCM before; it’s their passion for Jesus that amazes me, as this young band has a bright future ahead of them. The band have already released an EP Turn My Eyes late last year via Provident Label Group, and now have followed it up with a catchy new pop single “Inside Out”, which released in late April this year, along with the pulsating, captivating music video. Unlike the very underwhelming EP (which basically includes some re-recorded and remastered tracks from 3 years ago! ), “Inside Out” is quite invigorating, fresh and revitalising, as we remember the eternal truth that Jesus has indeed changed out life upside down. Driven by stirring acoustic guitar and a thoroughly engaging pop atmosphere, we are blessed to hear about the notion that because of this glorious impact Jesus has made in us, we can never be the same. Thus, all we should do is to tell the world about our Father, Saviour and Friend. His love is infectious, and as we can see from Bonray’s explosive, fun and bouncy music video, their joy for Jesus is undeniable also. 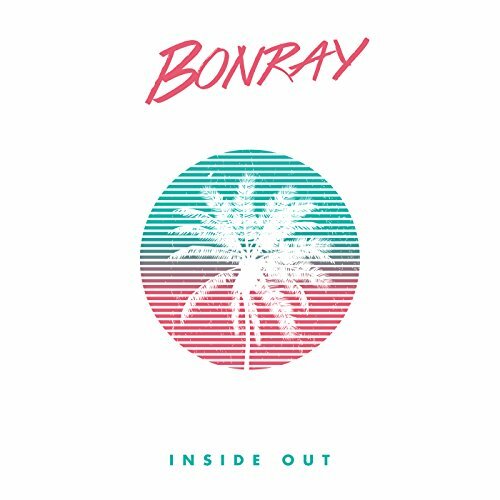 A pre-cursor to probably a full-length debut from Bonray this year sometime, “Inside Out” is one of the year’s surprising catchiest CCM hits, and no doubt this track can only propel the sibling band to new heights. With the quartet extremely busy from touring and maybe writing in the studio; I reckon we should all keep our eyes peeled for something new in the near future from the band sometime soon! Until that time, let’s hit that replay button! Cause “Inside Out” is worth repeating, at least until we understand that Jesus has changed us all from the inside out!